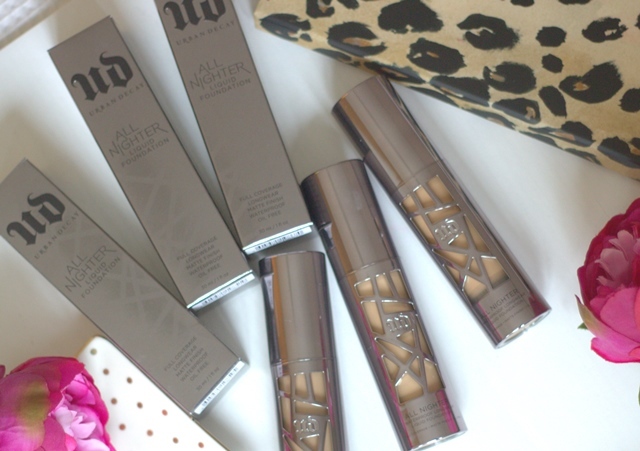 When Urban Decay have a new launch they make a really big deal about it, leaving beauty addicts lusting for even just a sneak peak. When I heard about the all new All Nighter liquid foundation I was very excited and couldn’t wait to try it! 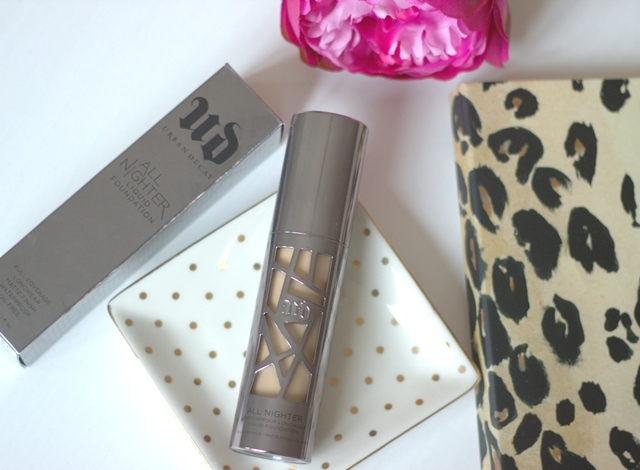 The foundation that claims to keep you looking flawless all night long! This is a full coverage foundation that is very very pigmented, honestly a little goes a long way! It blends really well and gives a real blurred perfection, airbrushed look to your skin which I love (in just one pump!) Choosing the right shade can get complicated, first off I thought the shades came up very light on my skin so I went straight in with 7.0, after 30-40 minutes however this did oxidise on my skin looking a little bit too dark. Some people may like this in which case, great! I have now settled with 6.0 which does look a little light when I first apply it but once it’s set it looks fabulous! So I would suggest to just try and sample a couple of shades before you buy. I always like to set my makeup with setting powder and a good setting spray. The All Nighter foundation seems to work best with the All Night Setting Spray compared to any other. 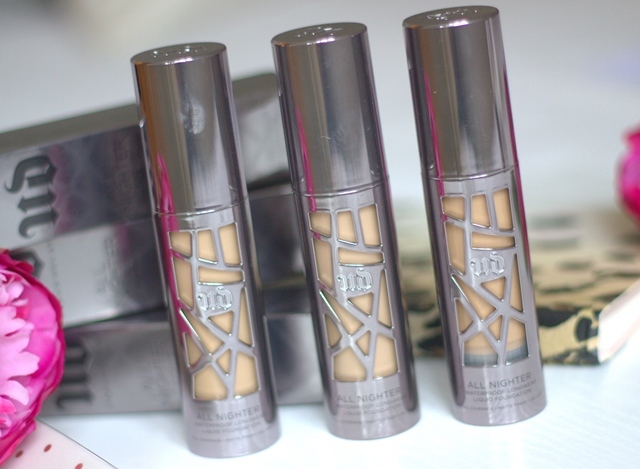 Although this is a lovely foundation, it is not the most long-lasting. I do have others which keep me looking flawless for longer (even after a long night out dancing!) The All Nighter foundation does look very natural though, especially for a full coverage foundation. I love the matte finish it gives as well, all whilst looking effortless. More than anything, I love the packaging! It looks heavy but it’s not at all. It is easy to travel with and will look so pretty, feminine cool and edgy on any dresser. Even though the design stands out, it is still pretty slim-line and not bulky at all. I love that it comes with a pump, I can’t believe there are still high-end liquid foundations out there where you have to buy the pump separately! You can see my video review for the All Night foundation below.